Home owners in Dubai will be able to rent their properties directly without having to go through an approved operator after the emirate’s tourism agency updated regulations. Home owners in Dubai can now apply for a holiday home licence if they meet all criteria, Dubai’s Department of Tourism and Commerce Marketing (Dubai Tourism) said. They can rent only the full accommodation. Room rentals are prohibited. Tenants who rent a property can also lease their accommodation as a holiday home with a short-term permit, if they submit a no-objection certificate from their landlord and meet Dubai Tourism’s requirements. The move could bring hundreds of rooms officially on to the market as the emirate aims to diversify its accommodation offerings to host an expected 20 million tourists in 2020. The short-term home rental website Airbnb has about 300 listings for entire homes – such as two-bedroom hotel apartments and studios – on their portal for Dubai, where prices can go up to Dh3,500 a night. It also has dozens of rooms and shared rooms listed. The supply of new hotel rooms in the market during the past year has taken a toll on room rates, especially at upscale hotels. The average room rate at Dubai’s four- and five-star hotels fell by 9.3 per cent year-on-year in January to US$312.83, according to Hotstats data. “In addition to the pressure on hotel demand as a result of plummeting oil prices, the upscale hotel sector in [Dubai] is being equally affected by additions to supply,” Hotstats said in a note. More than 1,000 hotel rooms in the mid-market sector opened last year, it said. Dubai had about 82,760 rooms by last month, according to the research company STR. Professional holiday home operators in Dubai have to go through more detailed licensing requirements. Earlier, home owners had to go through them to list their homes, as per the previous regulation issued in 2014. Dubai Tourism will now allow for online payments. “We continue to put in place the necessary market conditions to stimulate the growth of the tourism sector in a safe, secure and controlled manner while ensuring that the high standards of quality for which Dubai is known are maintained,” said Khaled Bin Touq, the executive director of tourism activities and classification sector for Dubai Tourism, in a statement. To become a holiday home provider, the home owners need to meet quality standards, amenities, health and safety, insurance necessities, code of conduct and wider community integration standards. They would also be accountable for legislative requirements and complaint management policies, correct listing to visitors, proper maintenance of their properties, and need to provide all guest services. 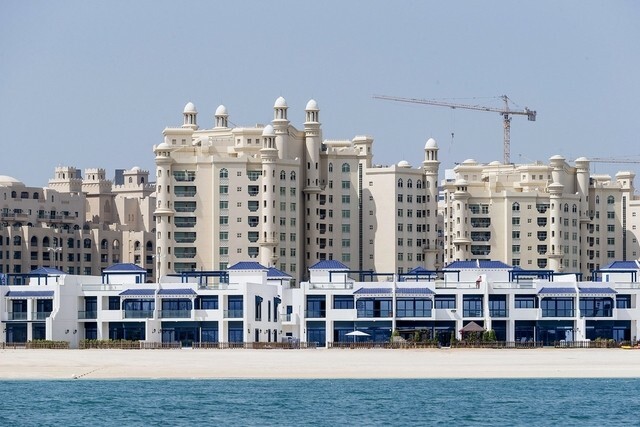 Dubai Tourism will inspect the registered homes and classify them as standard or deluxe. As of February, Dubai Tourism had licensed 57 holiday home operators and 1,600 properties.